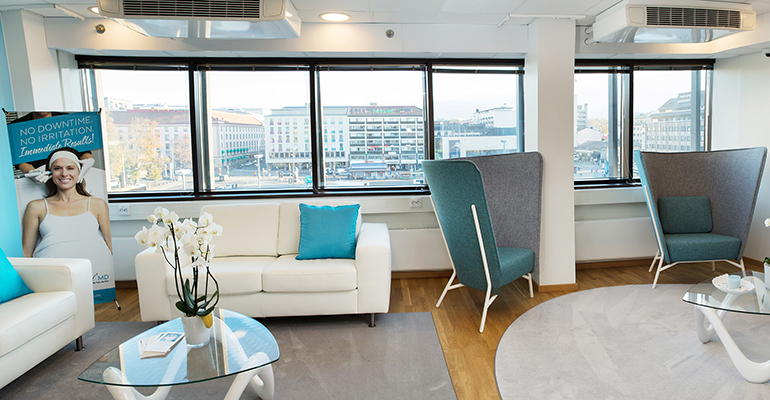 PLASTIC SURGERY AND AESTHETIC BEAUTY TREATMENTS, located by the Market Square in the heart of Turku, on the 4th floor of the shopping center Kultatalo in Hansakortteli. 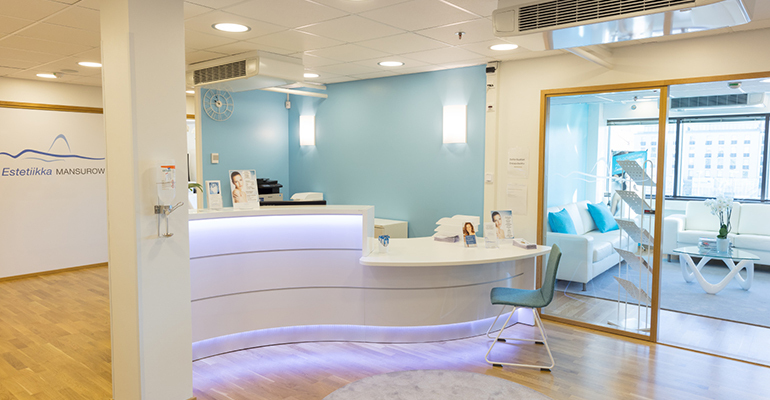 At Estetiikka Mansurow, we have a team of plastic surgeons with long, extensive experience in cosmetic plastic surgery. Our state of the art hospital invests not only in the latest methods but also in patient security, comfort and privacy. (suomi) Tiimimme koostuu iloisista ammattilaisista! Join our mailing list and receive all the best offers and benefits straight in your mailbox! I had had unsuccessful facelifts done by other surgeons, and had already given up hope. Then, I heard of Furkat Mansurow. Now I’m recovering from a facelift he performed and it is looking really good: he fixed my face in one go. His work is excellent and he really cares for his patients. I can highly recommend him! My warmest thanks to the whole team at Estetiikka Mansurow for your excellent treatment and care! Do breast implants need to be replaced at some point? If you have high quality implants, there is no need to replace them.